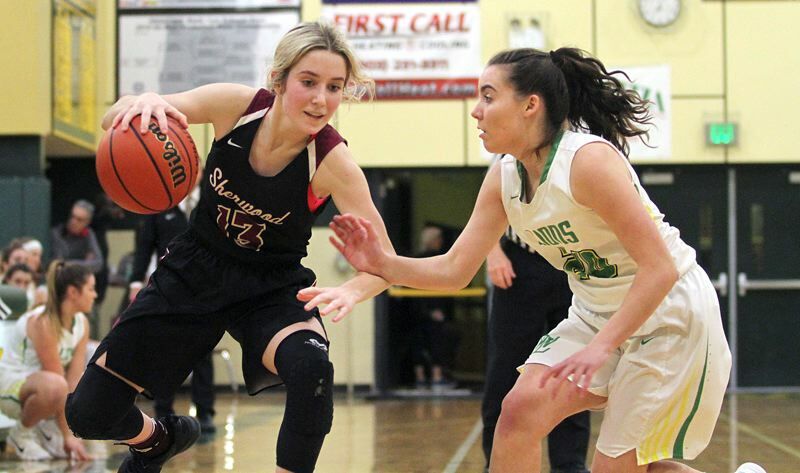 WEST LINN — The Sherwood High School girls basketball team fell behind early against one of the Three Rivers League powerhouses. And the Lady Bowmen weren't able to catch up. Sherwood battled, but fell 57-37 to West Linn in a league game played Friday at West Linn High School. With the loss, Sherwood moved to 7-8 in TRL play (12-11 overall), leaving the Lady Bowmen in fourth place in the league standings. West Linn improved to 14-2 in TRL games (21-3 overall), putting the Lions in second place in the standings. Senior Lauren Scarvie led the way for Sherwood in Friday's game with 15 points. Junior Aubrie Emmons added 11 points. West Linn freshman Aaronette Vonleh led all scorers with 16 points. Sherwood's scheduled league finale at Tualatin on Tuesday was postponed due to the inclement weather that hit the area. The Lady Bowmen will next be in action on Tuesday, when they open the Class 6A state playoffs with a first-round game, most likely on the road.